You must be logged in to bid. Click here to login. Payment of successful auction item/s must be made no later than 48 hours after auction has concluded. If you chose for in store collection, the Team Store staff will contact you when the product is available to collect. If you chose the postage delivery option then your product will be dispatched as soon as item/s is ready. All parcels are sent with a “No Signature Required” sticker as a default. A Buyer's Premium of 10% will be added to your bid price. 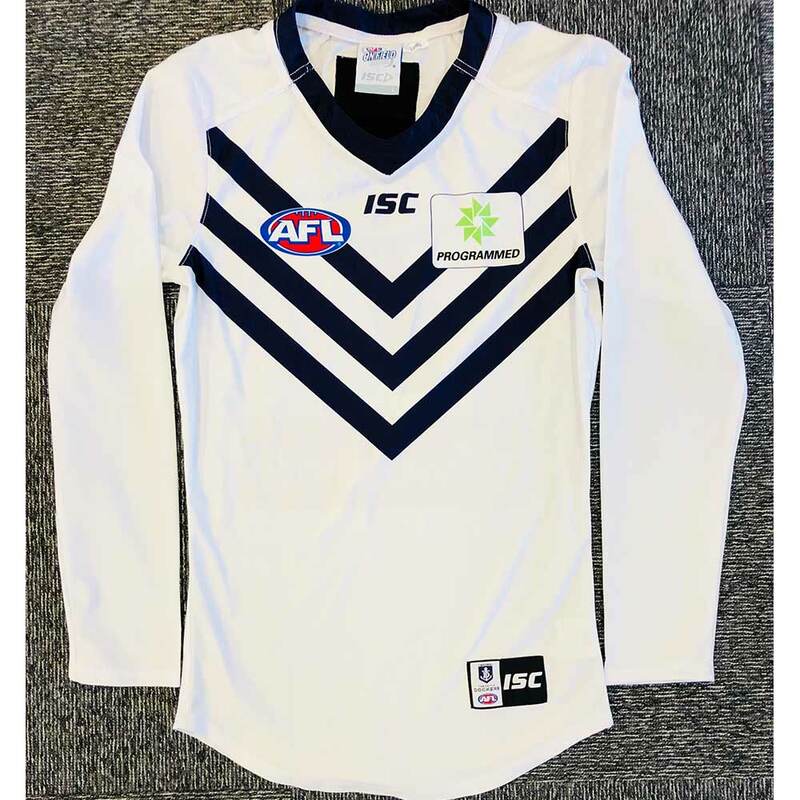 For enquiries regarding the individual auction item please contact Fremantle Dockers Online Auctions directly on craige@fremantlefc.com.au. Please note that all auctions on this site utilise overtime bidding. This means if a successful bid is placed within 5 minutes of the scheduled closing time of an auction, then the auction will go into overtime. Auction overtime results in the closing time for the auction being reset to 5 minutes from the time the bid was recorded. An auction will continue to be extended until there are no further bids for a continuous 5 minute period.